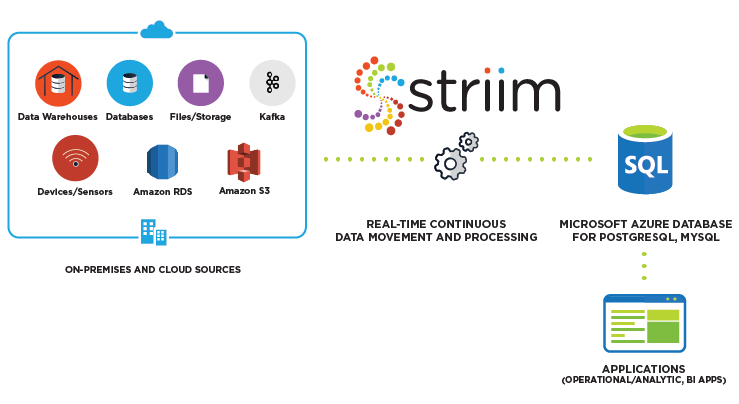 Striim runs in Azure Cloud and simplifies the real-time collection and movement of data from a wide variety of on-premises sources, including enterprise databases via log-based Change Data Capture (CDC), log files, messaging systems, sensors, and Hadoop solutions into Azure Database for PostgreSQL and Azure Database for MySQL. 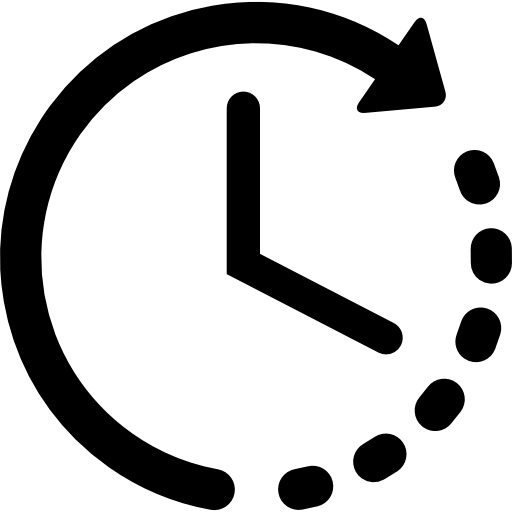 For real-time data ingestion from enterprise databases (including Oracle, SQL Server, HPE NonStop, MySQL, PostgreSQL, MongoDB, Amazon RDS for Oracle, Amazon RDS for MySQL), Striim processes the data-in-motion before delivering to Azure Database Services with sub-second latency, providing full context for any downstream operations, such as reporting, analytical, and transactional processing. Designed for high-volume environments, Striim offers a secure, reliable, and scalable service for continuous real-time data collection, preparation, and delivery to Azure Database for PostgreSQL and MySQL. Striim uses low-impact CDC to avoid any modification or performance impact on source production systems. 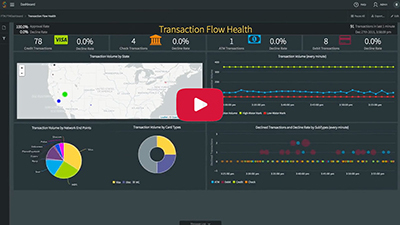 It enables in-flight data filtering, transformation, aggregation, masking, and enrichment to increase productivity, minimize latency and on-premises ETL efforts. By rapidly setting up automated, real-time data pipelines, Azure customers can use their MySQL and PostgreSQL database services for their business applications as well as for operational data stores and data marts in their analytical solutions. Striim enables users to synchronize partial data sets for reporting use cases and helps avoid batch movement inefficiencies.